To say that the last few years have marked monumental changes for the apprenticeship market is no exaggeration. We have seen the introduction of the levy, standards, the off-the-job training quota, and of course degree apprenticeships – to name just a few.l This is a heady mix, and understandably, the sector’s had to work hard to adjust. Amid these challenges, Ofsted’s focus has to remain resolutely on quality. I’m sure you would expect no less. Apprentices deserve the highest standards of training in and out of work, regardless of the issues faced by the sector. Despite this, there are, as they say, reasons to be cheerful. Last year, I spoke about the slow move away from frameworks. This process still has some way to go. But many new apprentices are now working to standards. And so far, inspection suggests that this is having a positive effect on apprenticeship quality. Reform, is of course, never neat and tidy. That is why I’m pleased to be here today. If we are to continue making progress, and to create an apprenticeship system that rivals the best in the world, these frank conversations are vital. Returning to the context you’re working in, there are currently more than 2,500 providers on the apprenticeship register, a huge increase since the levy was introduced 2 years ago. The nature of these providers, too, has changed. The levy has given employers far more control over the way they manage apprenticeship funding. More employers have decided that if they control the funding, they might as well deliver the training themselves. Indeed, employer providers now account for some 10% of the market. And we’re also seeing an increasing number of higher education providers. Yet despite this increase in providers, the number of apprentices continues to fall. The latest NAO report shows a fairly staggering 26% drop over all, with the fall particularly acute at levels 2 and 3. At the same time, we’ve seen the proportion of higher-cost, higher-level apprenticeships rise nearly 50%, to nearly 50,000. Higher apprenticeships now make up more than a quarter of the number of starts. As we highlighted in our latest annual report, a diverse range of apprenticeships is to be welcomed, particularly when there is clear progression in an occupation from level 2 to degree level. But what is of concern is the fact that levy money is not always being spent in the intended way. So, for example, on graduate schemes that are in effect being “re-packaged” as apprenticeships. This trend towards higher apprenticeships also narrows the options for the third of young people who leave school without a full level 2 qualification. I do think that we have to be concerned if this rise is limiting the options available to young people who don’t do as well at school. Their path to a good job, is after all, already a more difficult one. 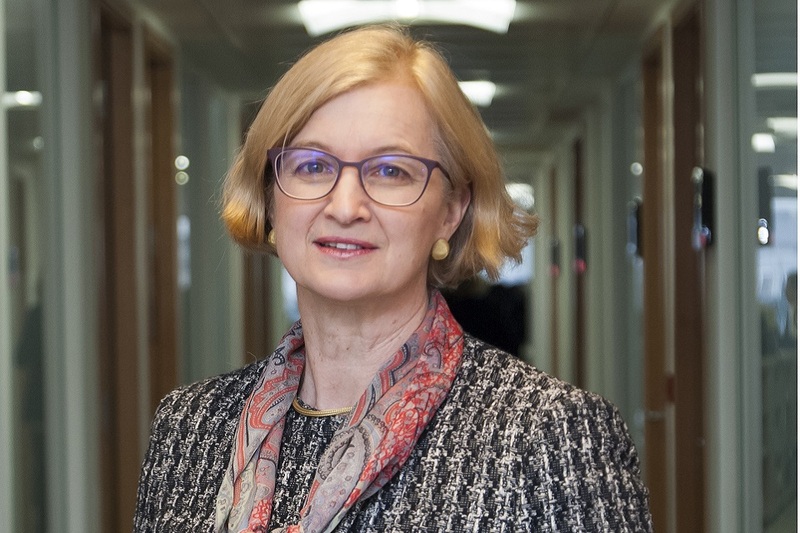 Ofsted’s overarching goal, as I have said many times before, is to be a force for improvement in all the areas where we work – whether that is providing evidence of what is working, or warning where things are going wrong. As the market continues to grapple with many changes, this role is more relevant than ever. In terms of the inspection picture, last year, we inspected the apprenticeship provision at just over 100 providers. Nearly 60% of those were good or better. Most good and outstanding providers were training larger numbers of apprentices, and around two-thirds of apprentices were in good or better provision. More recent inspections show that, for now, the sector is holding steady – despite so much new provision coming on stream. Since last September, of the 52 full inspections that reported on the quality of apprenticeships, nearly 60% were found to be good or better. So, while the picture isn’t getting worse, I think that you would all agree that there is still work to do. The challenge is to move past this 60%. Our new provider monitoring visits, announced at the end of last year, support this work. They are providing important extra reassurance on quality for apprentices. The visits aim to make sure that all apprentices get the highest quality training and support. They check that all providers know about the expectations for high-quality apprenticeships. So far, findings from over 150 monitoring visits show a somewhat varied picture. Around 60% of providers were making “reasonable progress” across all 3 lines of enquiry. Almost a quarter received at least one insufficient progress judgement, while the rest received at least one judgement of significant progress. Again, we see this 60% figure across the bulk of these inspections. What is holding back the other 40%? There are various factors at play here. You won’t be surprised that in the providers that do less well, leaders don’t have a good grasp on how well their apprentices are doing. Governance is often ineffective and doesn’t challenge leaders to do better. We see little evidence that off-the-job training is coordinated to make the most of what apprentices are learning and doing at work. And when they do develop skills, they do so slowly. In these providers, tutors and employers pay scant regard to the knowledge and skills that apprentices already have. The training that takes place bears little or no relationship to the tasks and activities that the apprentice does at work. Assignments and assessments require apprentices to demonstrate things they can already do. And in some cases, apprentices may not know they are doing an apprenticeship at all! This beggars belief. Of course, there’s no guarantee that providers making reasonable progress will go on to be judged at least good in a full inspection. What we are assured of, though, is that apprentices in these organisations are getting the training and support they need. I also want to take a moment to celebrate the providers, many of you in this room, who champion the cause of apprenticeships. Amid the worrying statistics and headlines it can be easy to overlook the success stories. In good or better provision, we see you working closely with employers to plan a curriculum that meets industry-specific training needs. The Greater Manchester NHS Mental Health Trust uses apprenticeships both for recruitment of new staff, as well as to help existing staff get on in their careers. Managers use apprenticeships as part of their recruitment strategy. They look at their available jobs and decide which can be filled by apprentices new to the Trust. They also offer apprenticeships to existing health care workers. This allows existing staff to develop their knowledge and skills enough to gain promotion and fill vital roles throughout the Trust. In good or better providers that we see, apprentices’ progress is also monitored meticulously. If they fall behind, they get the support they need to help them catch up quickly. As I said earlier, evidence so far points towards most apprenticeship standards making a positive difference. Many of these standards do seem to be capturing the occupationally specific knowledge better than their predecessor frameworks. This focus on occupationally specific knowledge, skills and behaviours is also reflected in Ofsted’s plans for the future of inspection. We want to make sure inspection looks at the substance of what children, young people and adults are actually learning – not just the grades and qualifications they achieve. Of course, the picture for apprenticeships could be better still. We want to see that 60% figure moving in the right direction. And together, all of you can make sure that more provision is judged to be at least good by being clear about what apprentices know, and can already do, before they begin their apprenticeship. This is especially important for apprentices who are existing employees. You will all have heard me talk before not just about substance in education, but also integrity. These are the qualities we want to reward on inspection, and that we are focusing on steadfastly with our new inspection approach. For apprenticeships, as in any other area of education, this means acting in the best interests of learners at all times. It means spending money effectively in the development of each apprentice. And it means treating every apprentice as an individual, with potential to be unlocked, not a number or statistic. I know that this will resonate with all of you in this room. Good initial assessment is the foundation of any decent apprenticeship. After all, regardless of which level they are starting or moving on to, most people will have learning from what they have done before; some will have previous occupational experience. To ignore this as apprentices move to higher levels risks repeating learning unnecessarily. Or it can undermine an apprentice’s confidence because they may feel that they aren’t developing new knowledge and skills. It is important to remember that where we have judged providers to be less than good, we often see apprentices who, because initial assessment was weak, aren’t getting the training and support they need. Initial assessment must be much more than testing of English and maths, or as we used to see around Train to Gain apprenticeships, of a confidence “check list”. It must get down to the detail of what it is an apprentice is bringing to the table as they start an apprenticeship. If they already know more than the standard requires, then they plainly don’t need to be on an apprenticeship! And if they can already do some of it, then the length should be adjusted, so that it reflects their experience. It is particularly concerning where, in extreme cases, this comes down to providers cynically exploiting the new funding arrangements to their own ends – taking on larger numbers of apprentices, whether they are really learning anything or not. This focus on quantity over quality must be discouraged. I believe that inspection has a valuable role to play here. I’m sure (or rather I very much hope!) that by now you’re aware of the proposals for our new inspection framework. If you haven’t already replied to our consultation, you have just a few more days! Please, do let us know what you think. For a sector that has so much going on, dealing with a new framework may feel like an unwelcome distraction. But, as you may have heard me say before, this will be evolution not revolution. In the main, it is rebalancing what we are already doing to get to better inspection conversations. We want to have the best possible professional dialogue that contributes as much as it can to your future development. And as I mentioned earlier, the focus will be on the substance of education. Whether that is early years, schools, or post-16, we want to know what young people are being taught, how well are they being taught it, and how it is setting them up to succeed at the next stage. For example, if a college was training 200 ‘business fire safety advisor’ apprentices, inspectors would want to know about the rationale for delivering such an apprenticeship. They would want to find out what the medium- and long-term job prospects were for those who have completed their apprenticeship. If it’s about the upskilling of existing employees for a large local employer to improve their productivity, then we will explore whether the provider and employer know about the knowledge, skills and behaviours that those employees already have. Then we will look to see if the provider has adjusted the length of the apprenticeship to account for what apprentices already know and can do. And let me be clear – an apprenticeship that does not include enough training and skill development to meet the minimum 12-month duration is not an apprenticeship. It is staff development. With any new reform, it takes time for change to bed in. But equally, for those young people who are starting apprenticeships, time is of the essence. Their apprenticeship needs to be of the highest quality now, not in a few years’ time. That is why we won’t shy away from giving very clear messages where the system isn’t working. About those providers who aren’t doing enough to get the initial assessment of apprentices right. And those who end up accrediting apprentices for the knowledge and skills they already have. We should all be able to celebrate what is great about apprenticeships, and the life-changing opportunities they offer to young people from all backgrounds, as well as their contribution to building skills and preparing a workforce for the future. There are many reasons why it’s essential that we get apprenticeships right. Not just for people who want to get on in life, but for the wider success of the nation. I know all of you here are determined to get the system to where it should be.